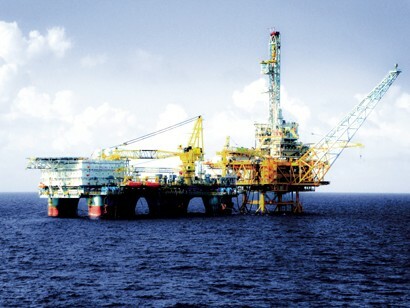 In 2018, as closely guided by the Party and the State, with the efforts of leaders in the oil and gas industry, Vietnam National Oil and Gas Group (Petrovietnam) took aggressive actions to obtain achievements in all stages of production and business, with the most five remarkable as noted below. 1. Petrovietnam basically completed its organizational reshuffle and rationalization. The group was the first enterprise to complete the merger of Party committees with the professional committees having similar tasks. The organizational and personnel restructuring was an urgent requirement to consolidate and improve management efficiency and meet Petrovietnam’s development objectives in the next development stage. Petrovietnam completed and issued the Petroleum Culture Handbook. In addition, for the first time, the Code of Conduct applied to Petrovietnam's leaders and managers is specified. The flame of the oil and gas industry is transmitted from generation to generation and creates the Petrovietnam cultural identity. 2. Petrovietnam exceeded its plans in production and business, especially in oil and gas reserves, output and financial data. Petrovietnam finished most targets assigned by the Government in 2018 ahead of schedule. Total oil and gas output reached 23.98 million tons, 5% higher than the plan. Nitrogen fertilizer production exceeded the yearly plan by 5.7% to 1.63 million tons. Total revenue was VND626.8 trillion, exceeding the plan by VND96 trillion (exceeding 18.1%) and rising 25.9% year on year. The group paid VND121.3 trillion to the State Budget, VND47.5 trillion more than the plan, representing a year on year growth of 24.3%. 3. Petrovietnam successfully equitized three affiliates: Petrovietnam Power Corporation (PV Power), Petrovietnam Oil Corporation (PVOIL) and Binh Son Refinery and Petrochemical Joint Stock Company (BSR). Audited paid-up capital of these three giants were VND89 trillion. Petrovietnam took VND16,500 billion from the three initial public offerings (IPOs), making a capital surplus of VND7,500 billion. With its divestment value counted, Petrovietnam collected VND18,600 billion. After equitization, these companies performed very well. 4. Nghi Son Petrochemical Refinery Complex was put into official operation. The US$9-billion complex has a daily processing capacity of 200,000 barrels (10 million tons a year). This is one key national oil and gas project in Vietnam. The commercial operation of this facility has important political, economic, social, security and defense significance and helps ensure national energy security. This complex together with Dung Quat refinery will meet more than 80% of petroleum demand for the domestic market, thus helping the country reduce dependence on imported petroleum products. 5. Some weak projects made good progress including Dinh Vu Polyester Fiber Factory, Dung Quat Bio Ethanol Factory and Binh Phuoc Biofuel Plant. After more than half a year of resumed operation, PVTEX produced 2,200 tons of DTY yarn of high quality and gained the trust of customers. Dung Quat Bio Ethanol Factory was restarted and operated stably. Binh Phuoc Biofuel Plant was ready to resumption.